Bibliophilia, Please is trying something new! I'm participating in a book blast hosted by I Am a Reader, Not a Writer because I think it is a fun way for you guys to find a new book (with a BEAUTIFUL cover) and maybe win a great prize! Today, the feature is Kings & Queens by Courtney Vail. "I think the best way for me to describe the book is quirky. "Beautifully unique" would be another term I'd use. I just.. I love this book. Each character, especially Majesty, was like a 20-Layer Cake. The book was both character-driven and plot-driven, which promises to be an exciting ride for every type of YA reader." "WOW. The description for this book on GoodReads.com does not do this book justice. This was an AWESOME, twisted, capturing tale. Like Gossip Girl with deadly consequences." "Best YA Book I've read all year...out of 79 books." "I don't think I've ever read a book like this one. A whirlpool of humor, bravery, slowly spreading horror, friendship, wrenching sadness, volatile emotion, barely contained passions: the literary equivalent of crystal meth. I hit a certain point, where the action and confusion and mystery were at their peak, that I narrowed my eyes and said, "All right, that's it! I refuse to put this book down until I know who is who, what this is really all about, how this fevered chase is going to end!" And I didn't put it down until I read the last word. Which was sometime in the very early morning. I passed out and re-awoke with a Kings&Queens hangover." 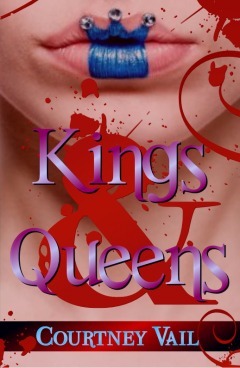 "Courtney Vail thrills and shocks in her debut YA suspense, Kings & Queens. I really enjoyed reading this mystery because it reminded me of one of my favorite detective TV shows, Veronica Mars. The authentic high school drama and conspiracies were warped and utterly original." 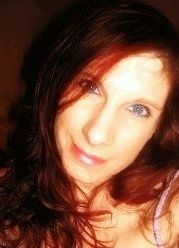 Follow Courtney on her Website, Blog, Twitter, Facebook, and Goodreads for Kings & Queens news and other projects! The prize is a $100 Amazon Gift Card compliments of Author Courtney Vail and is open to anyone who can legally receive and use an Amazon gift code. Mandatory entries must be done or else a new winner will be chosen. Be sure to enter soon because the giveaway ends on May 14th! What a neat cover & it sounds like an exciting read.